It is a special aesthetic treatment used to correct, modify, beautify and balance features semi-permanently. 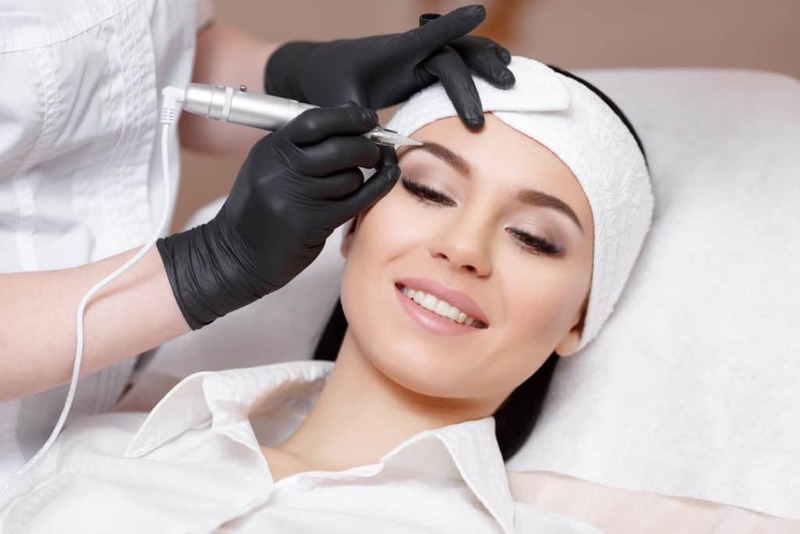 A trained specialist will inject iron oxide pigment into the middle layer (dermis) of the skin to achieve the desired look. Anyone can have it done to improve the appearance of thin eyebrows and lips, as well as enhance the eyeline and even lashes! Anyone who has lost the shape of the brow due to the natural aging process, thyroid issues, naturally spars brows or light brows and anyone who feels they spend too much time in the mirror to make their brows “perfect.” If you have allergies to makeup that create a problem for you or if you have certain physical or sight limitations, then Micropigmentation or Microblading may be a viable solution for you! Note* If you have certain medical conditions, your specialist may ask you to provide a written approval from your doctor before the procedure. It is performed in an office setting that is a sanitary and a hygienic environment. All supplies used i.e., needles, cotton, gloves etc. are disposed of in compliance and in accordance with the CDC and FL State Law. What equipment and pigments do we use at About Face Design Team? Nouveau Contour’s Digital 1000 state of the art micropigmentation machine offers many advantages over traditional, analogue devices, including its digital technology base which ensures a stable needle frequency, despite fluctuations in current. All insertions are of exactly the same size and always evenly spaced, resulting in a more beautiful and higher permanent make-up quality. The Digital 1000 is a reliable and highly consistent device that delivers excellent results in lower treatment times, no matter what cosmetic micropigmentation treatment is chosen.